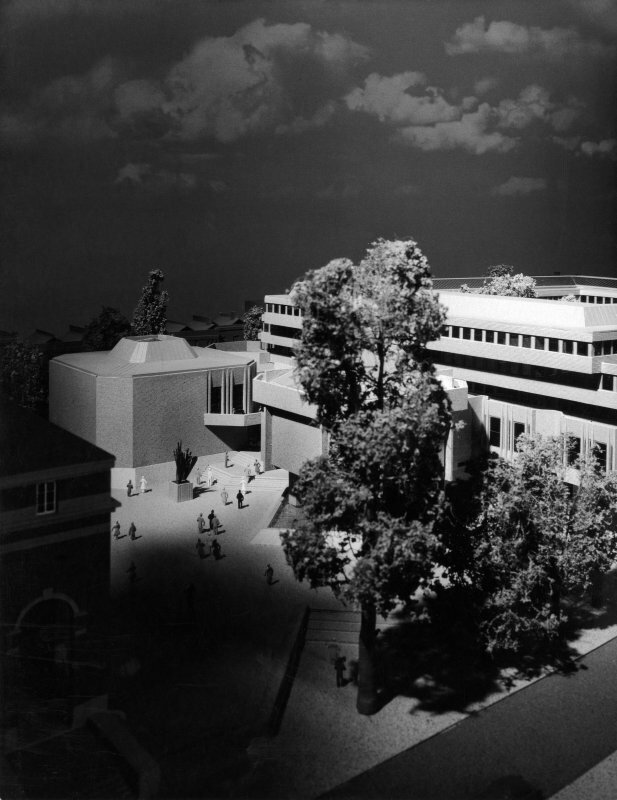 Copy of presentation perspective drawing showing view from W.
View of first model showing proposed scheme. 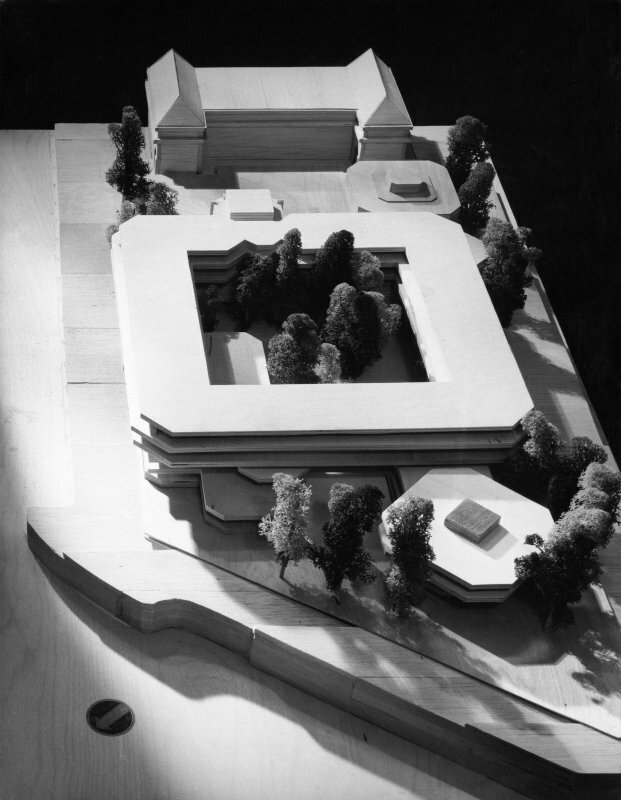 View of second model showing proposed scheme. 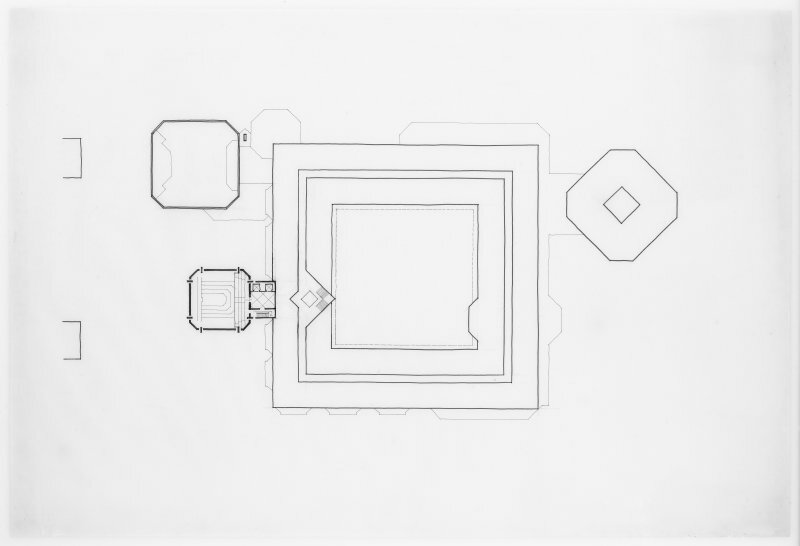 Copy of drawing showing site plan. 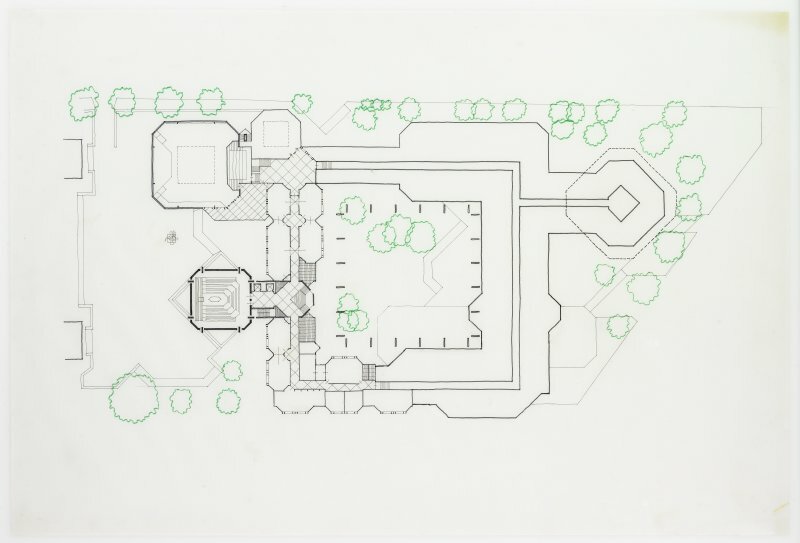 Sketch plan showing proposed design and landscaping. 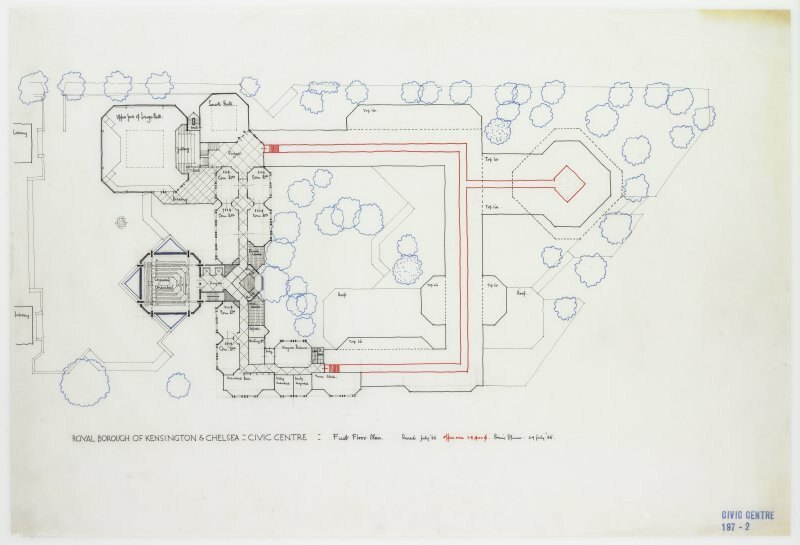 Sketch plan showing proposed design. 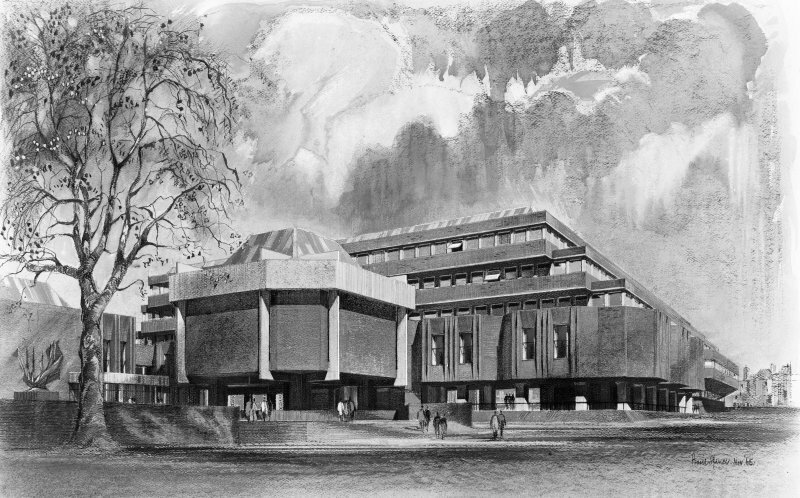 Sketch elevation showing proposed design. 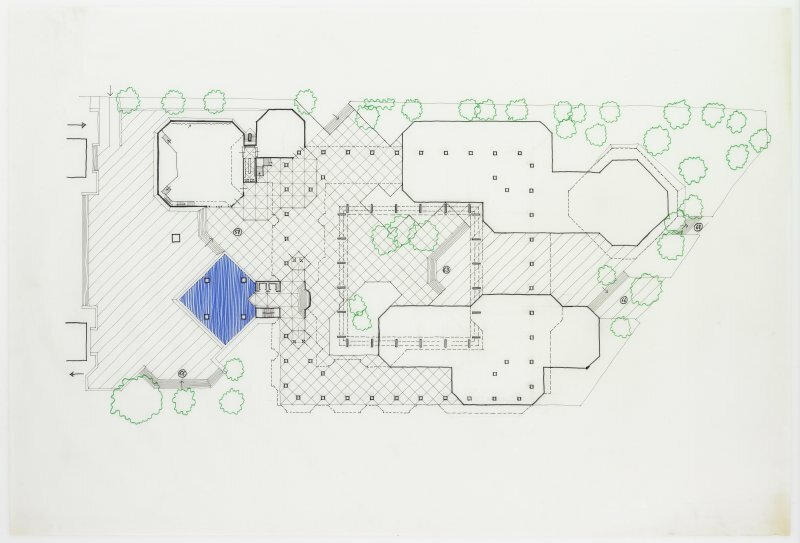 Revised third and fourth floor plan. 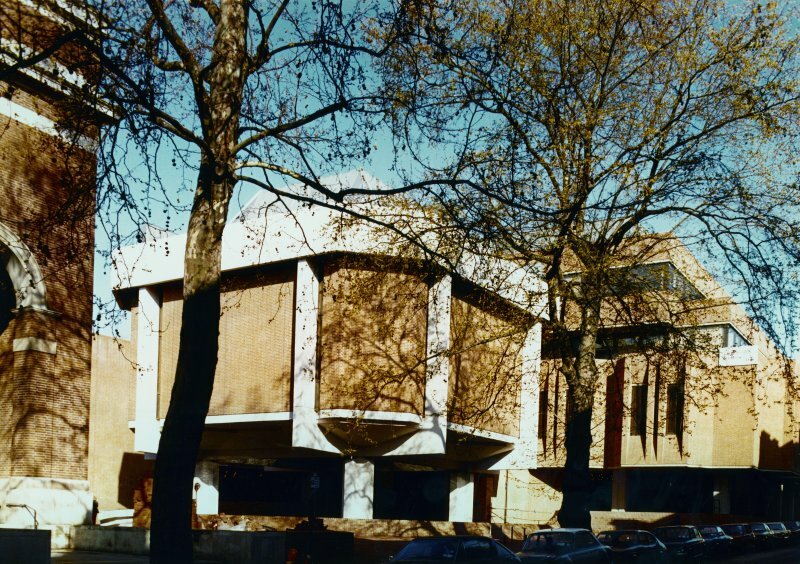 After the Boroughs of Kensington and Chelsea were merged in the local government reorganisation of 1963-65, the decision was taken to build a new Civic Centre to replace the two town halls. 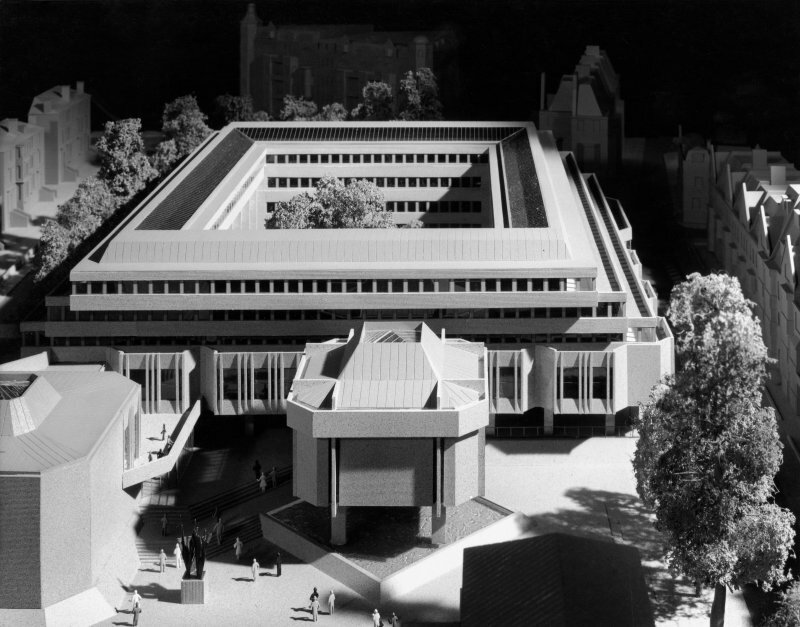 The site chosen had previously been masterplanned by E Vincent Harris for the Metropolitan Borough of Kensington, but only the Central Library had been completed by the time of the reorganisation. 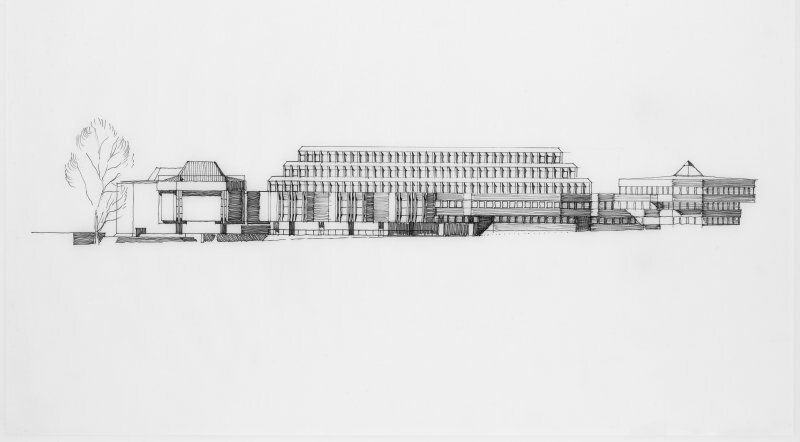 Sir Basil Spence OM RA designed the new Town Hall to complete the Civic Centre scheme, ensuring that it complemented the library in its scale and in the use of red brick. 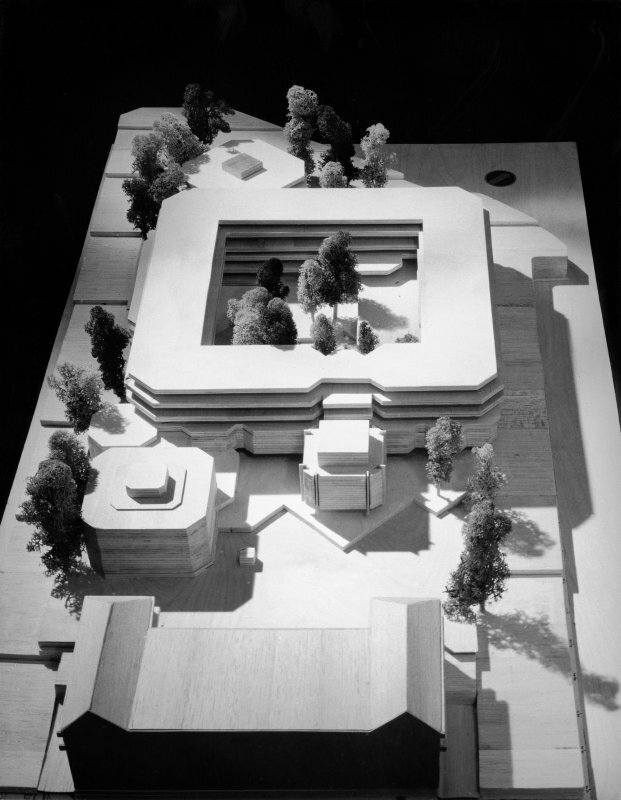 The building consists of an office block arranged around an open courtyard, with the council chamber and civic halls projecting out as distinct blocks. 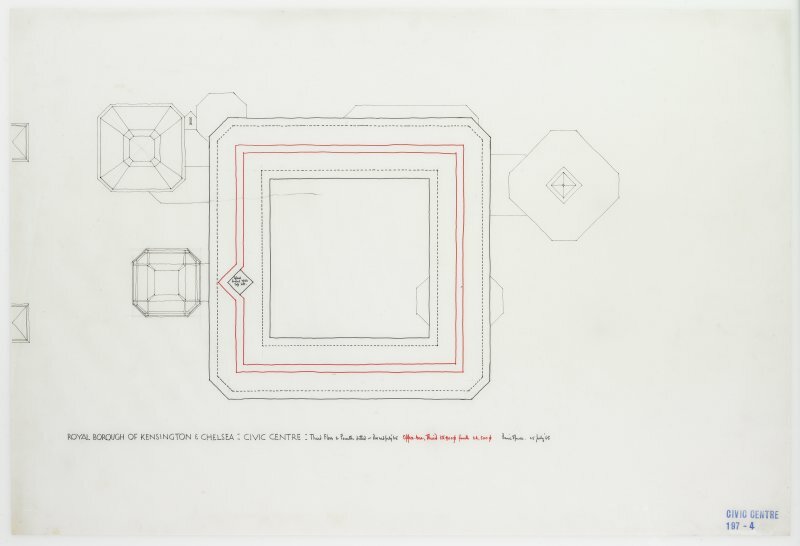 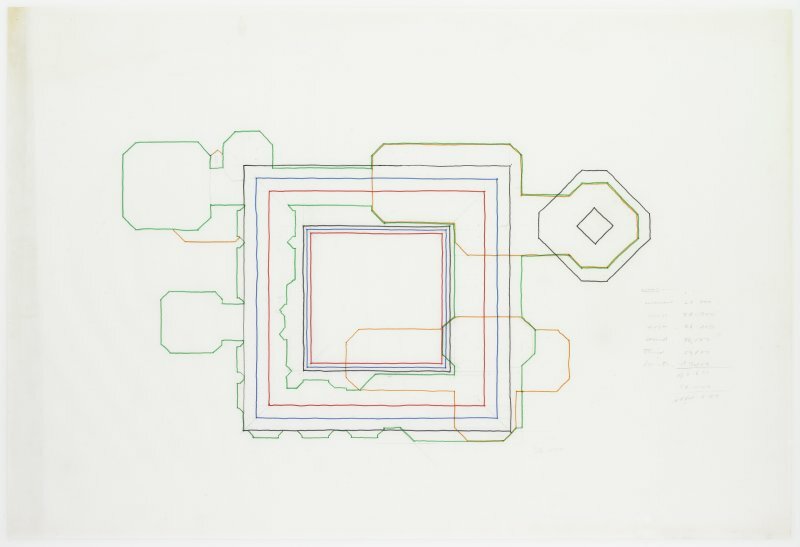 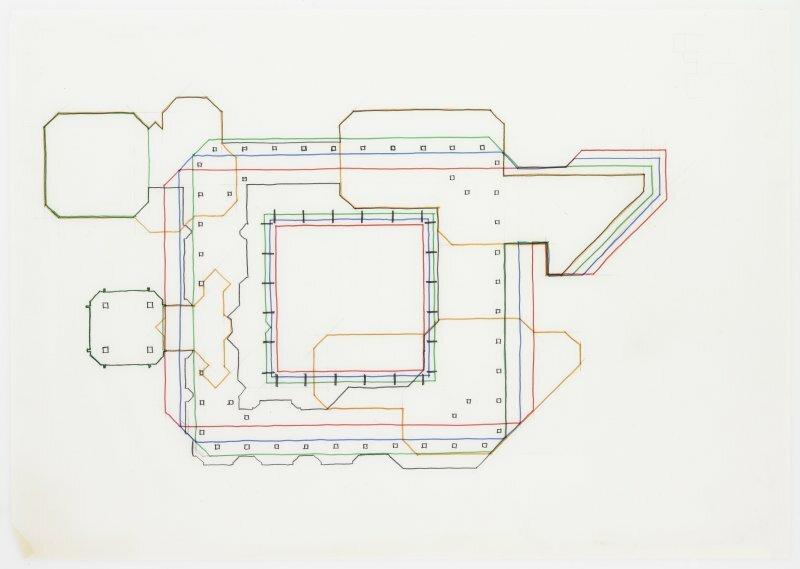 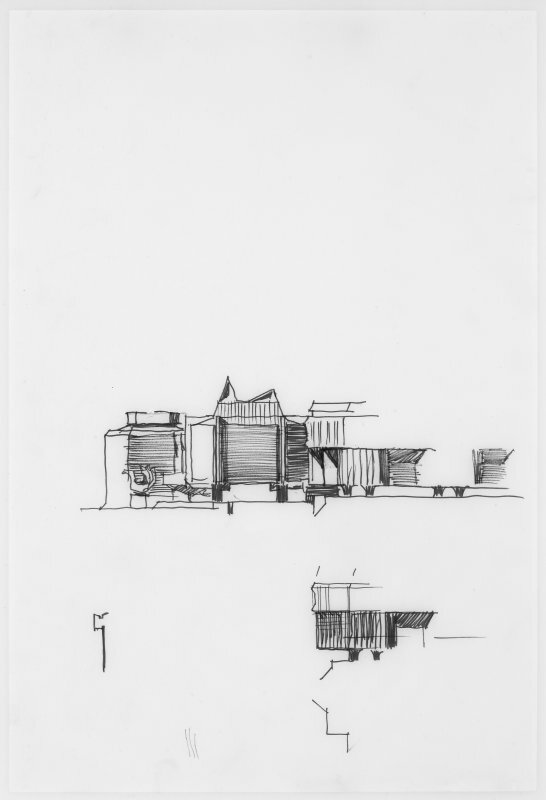 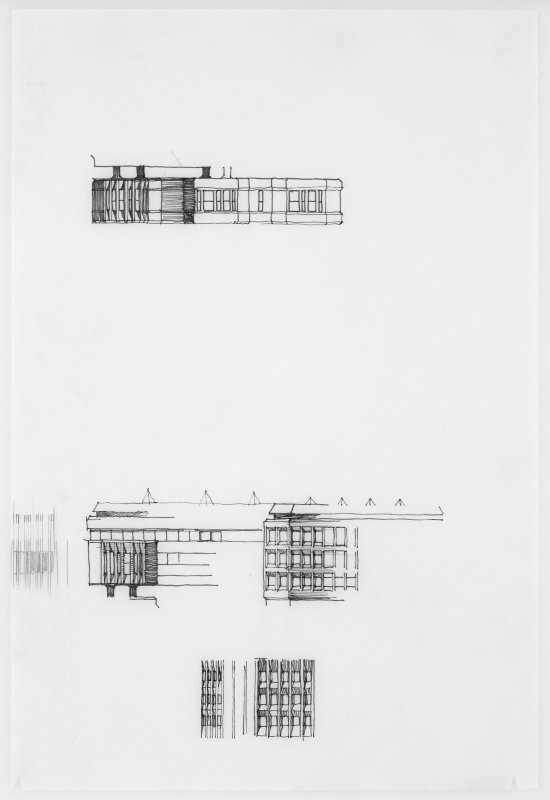 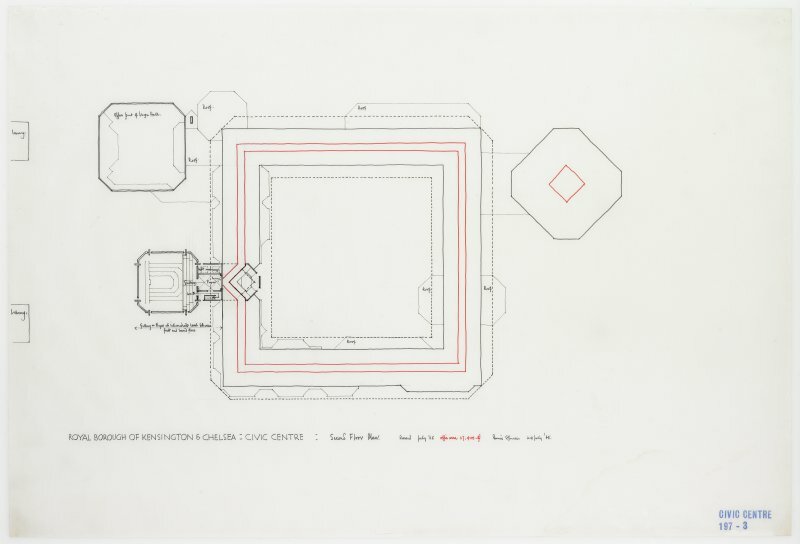 The drawings in the Sir Basil Spence Archive show key stages in the design process, with many sketches demonstrating how Spence reached his ideas. 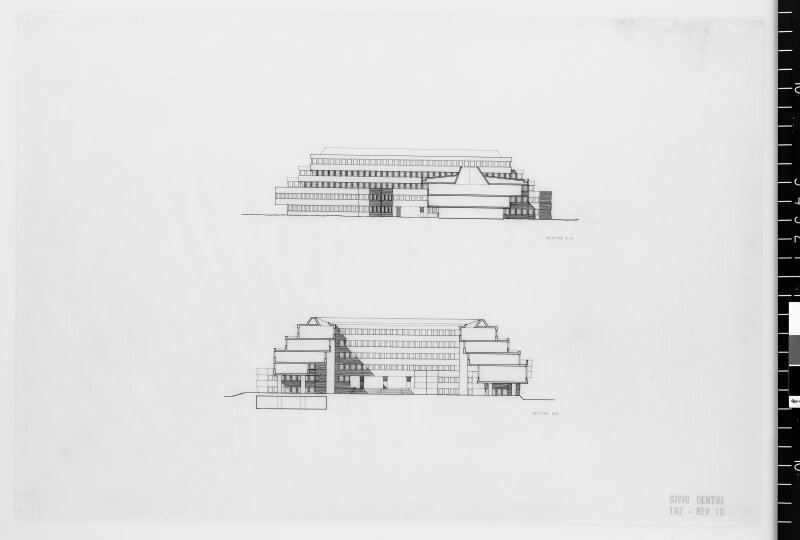 Similarities in some details can be seen with other major public buildings designed by Spence, such as the Home Office building at Queen Anne's Mansions in London, and the British Embassy in Rome. 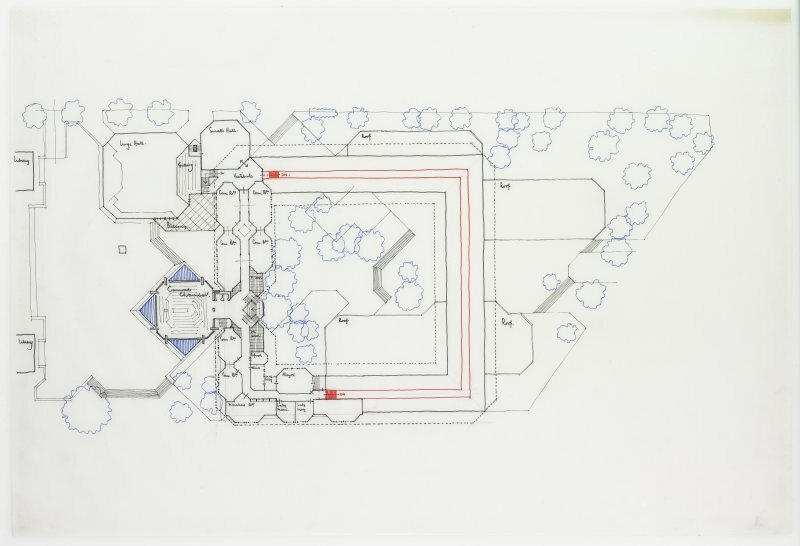 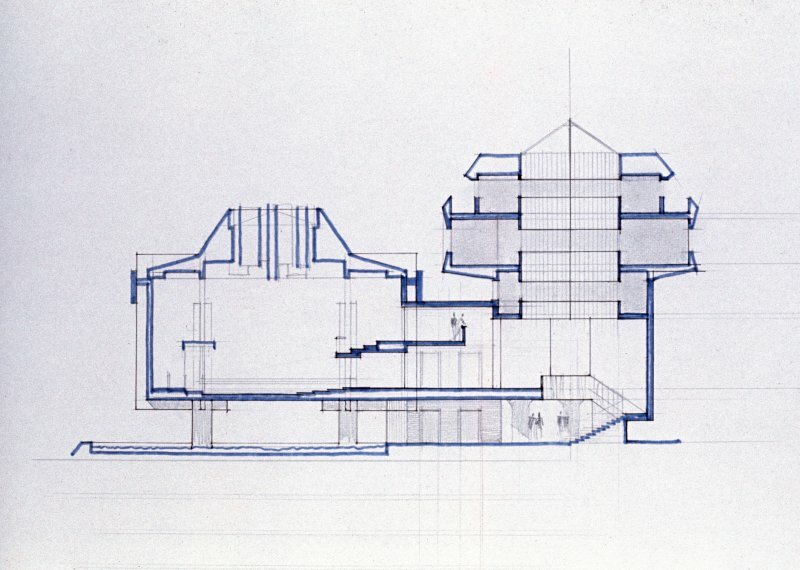 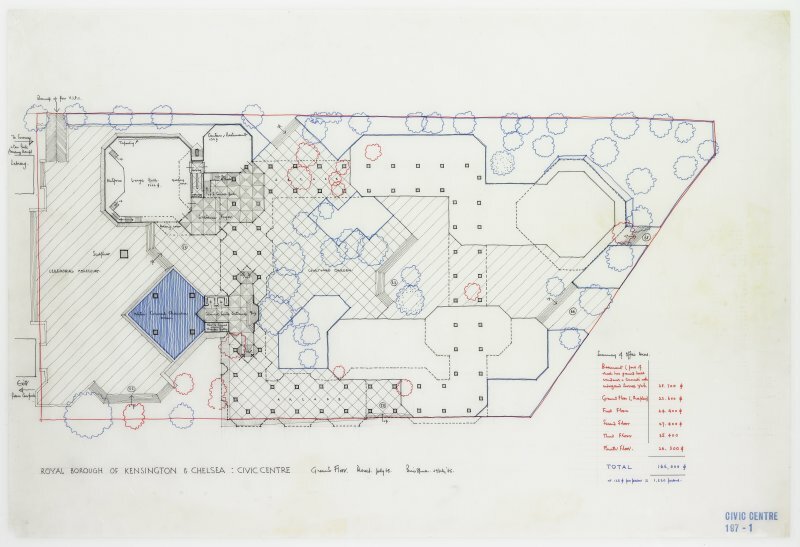 Although his former London partner John S Bonnington was responsible for the supervision of the final stages of construction in 1977 after Spence's death, the Archive shows how close the final design was to Spence's intentions for the building. 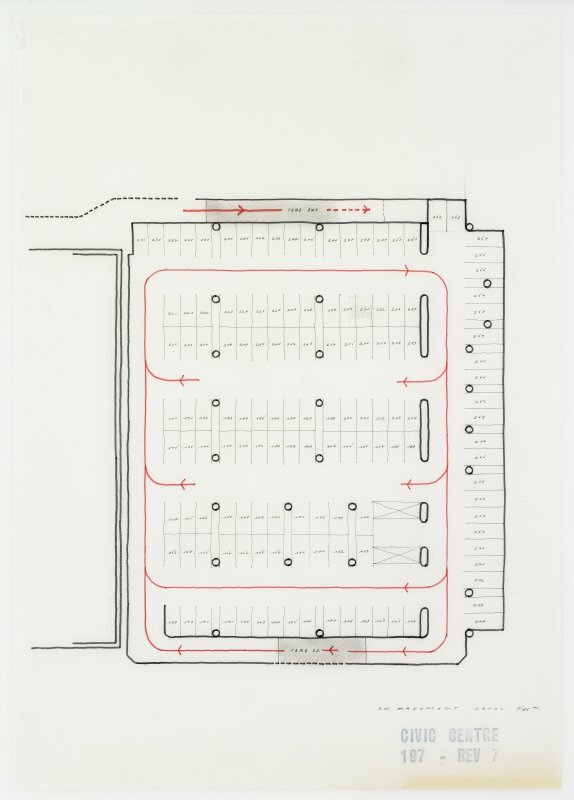 The archive material also shows an extra floor on the building that was not built. 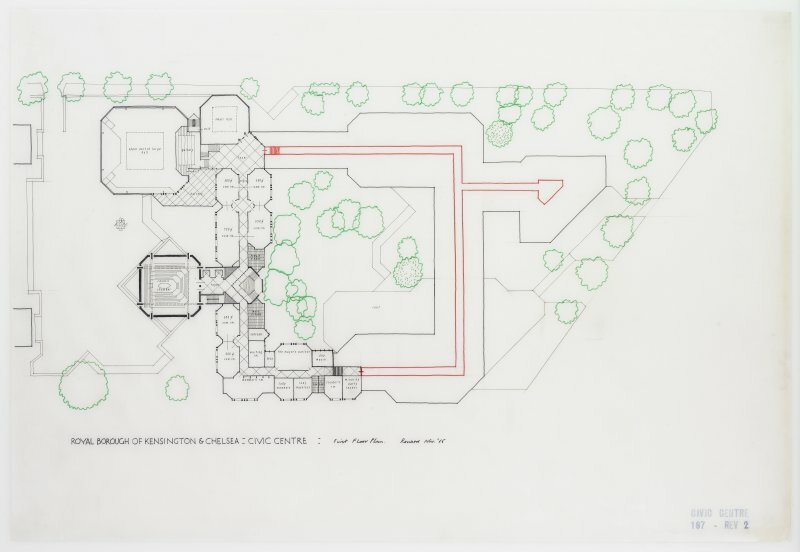 The manuscript material includes copies of letters sent to the Borough Council that objected to the design of the proposed Civic Centre. 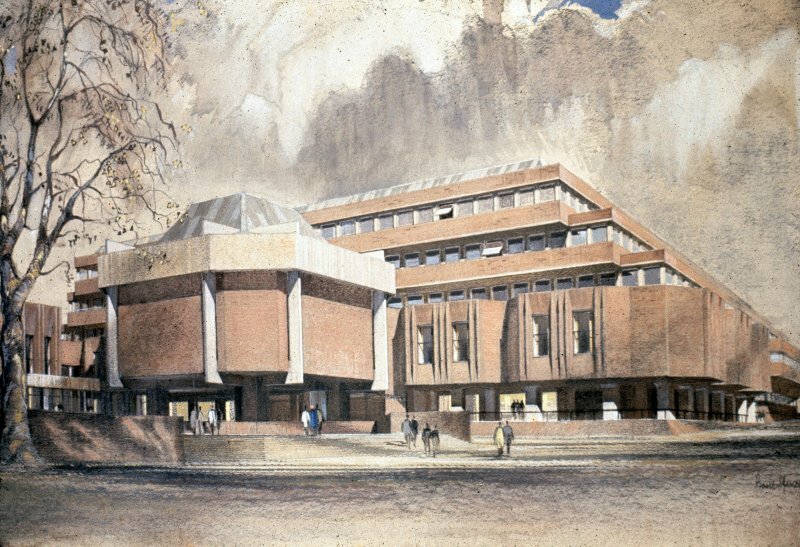 The modernist design was a contrast to surrounding Victorian terraces and the neo-classical style of the library by Vincent Harris, an architect responsible for the design of several important 20th century public buildings in England. 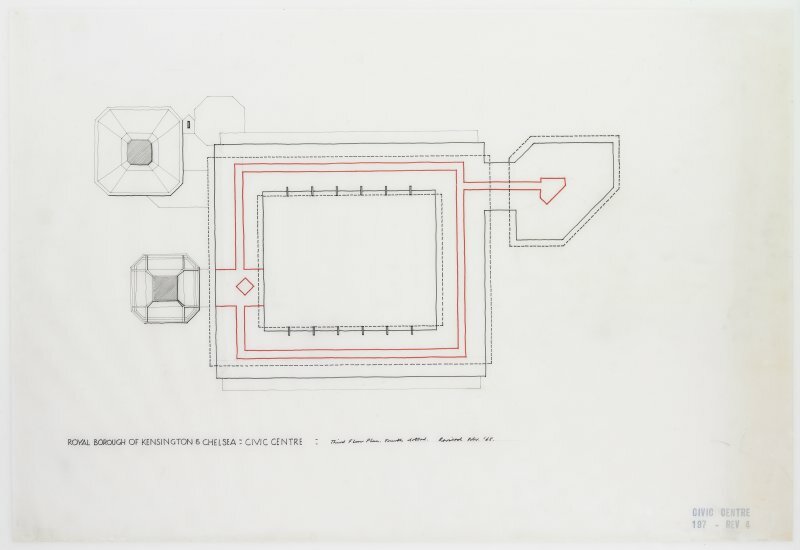 The Archive holds two manuscript batches containing letters, newscuttings, press statements and background information to the development. 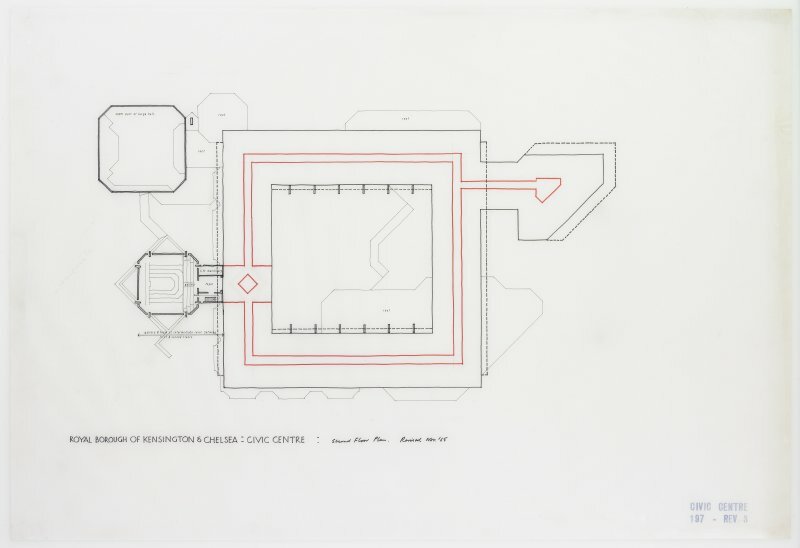 The 30 drawings show various proposed layout plans and elevations for the Town Hall. 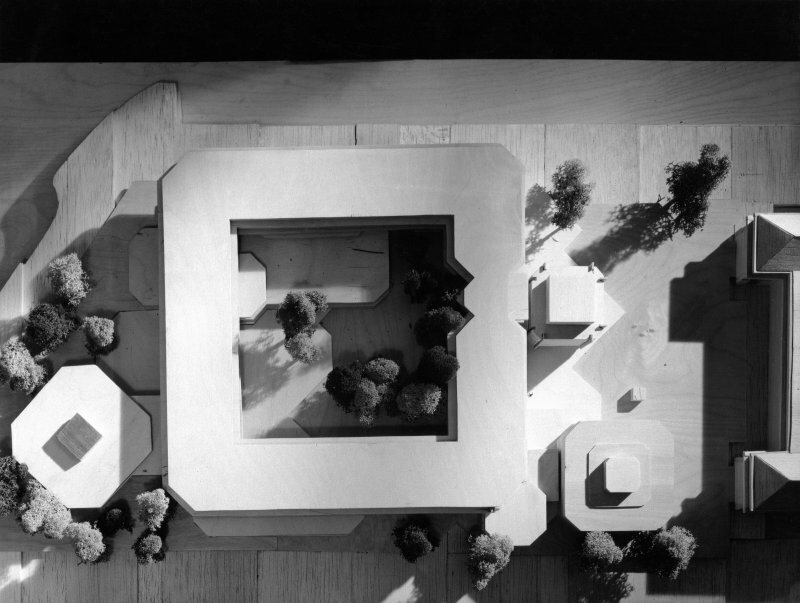 Included in the 20 photographs are views of a model showing the Town Hall in the context of surrounding buildings. 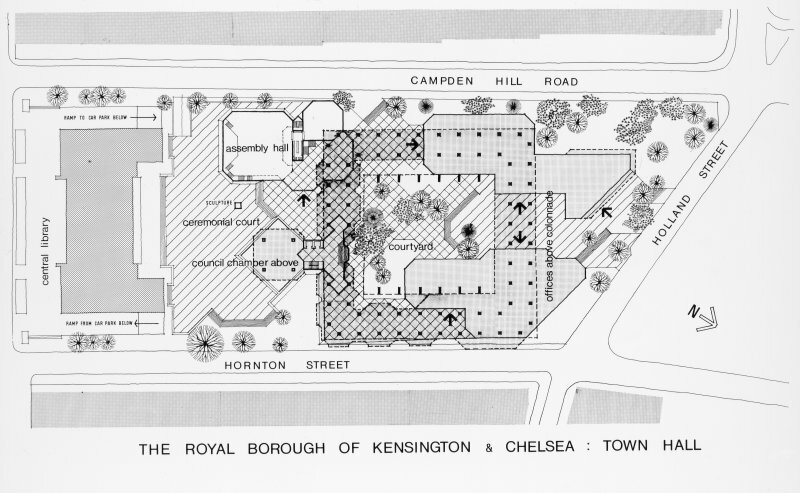 The Royal Borough of Kensington and Chelsea Libraries hold photographs of the site before and after completion of the Town Hall, as well as a presentation drawing by Spence showing a perspective of the building.